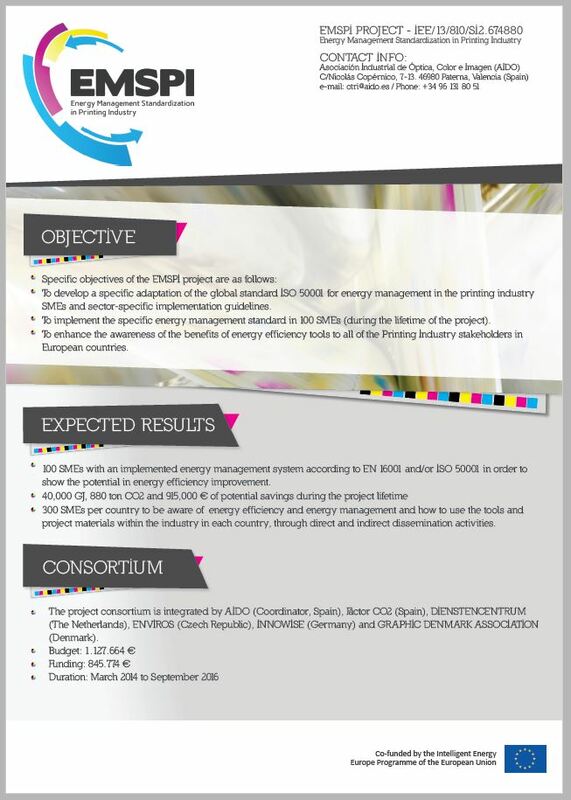 To develop a specific adaptation of the global standard ISO 50001 for energy management in the printing industry SMEs and sector-specific implementation guidelines. To implement the specific energy management standard in 100 SMEs (during the lifetime of the project). 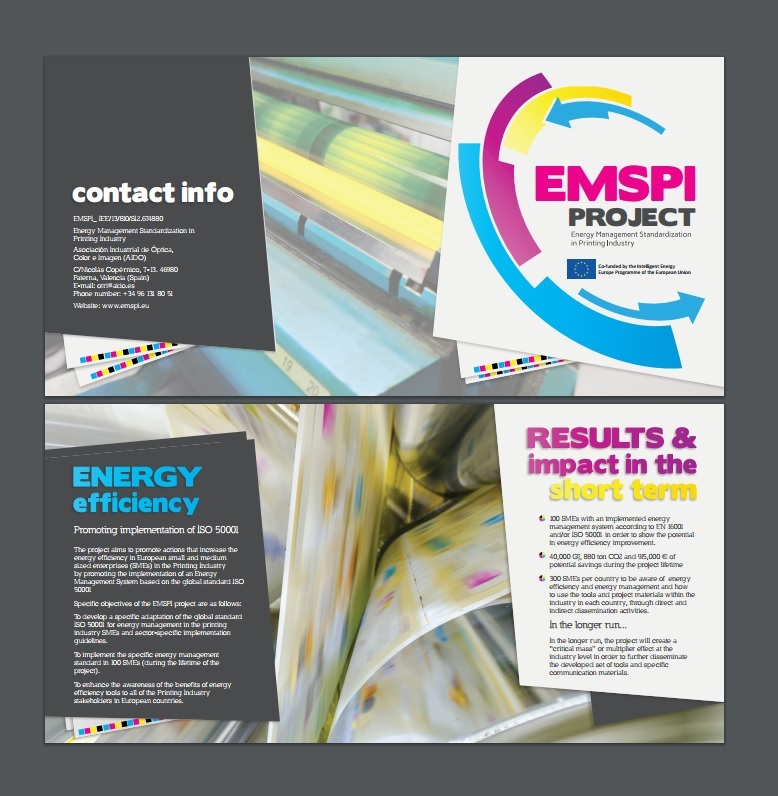 To enhance the awareness of the benefits of energy efficiency tools to all of the Printing Industry stakeholders in European countries. 100 SMEs with an implemented energy management system according to EN 16001 and/or ISO 50001 in order to show the potential in energy efficiency improvement. 300 SMEs per country to be aware of energy efficiency and energy management and how to use the tools and project materials within the industry in each country, through direct and indirect dissemination activities. In the longer run, the project will create a “critical mass” or multiplier effect at the industry level in order to further disseminate the developed set of tools and specific communication materials.